The NDS EndoVue 90K0060 surgical display provides the superior image performance of a high end endoscopy monitor at a value price. The 21″ NDS EndoVue surgical monitor is designed and built for medical use, it is FDA listed, TUV certified, and CE marked; which allows the NDS 90K0060 surgical display to provide above average patient safety, clinical performance, and durability compared to non-surgical monitors. The NDS EndoVue surgical monitor accommodates standard analog and digital high definition signals from a variety of surgical imaging sources, including ultrasound, PACS, and patient monitor vital signs. Features of the 21″ NDS EndoVue 90K0060 surgical display include a fanless cooling design to minimize the risk of spreading airborne contaminants within the sterile field, and an industry leading LED backlight for improved reduction of power consumption. In minimally invasive surgery (MIS) the ability to clearly and precisely visualize the surgical site is critical. NDS Surgical Imaging offers the most advanced and comprehensive surgical imaging products that support single, multiple or full modality imaging while being fully compliant for medical use in surgery. NDSsi’s imaging systems offer exceptional image quality, clarity, consistency, performance, and ergonomic design. They dominate today’s surgical markets and are considered the industry standard for the digital OR. Color Correction Technology (CCT) is a dynamic color calibration solution designed to fine tune the color response of surgical displays, uniquely correcting high-definition images in real-time on a pixel-by-pixel basis. The result is accurate, consistent color across all displays, conforming to international standards. Image-Lag Reduction™ (ILR) incorporates advanced interpolation algorithms to deliver the industry’s fastest video response time with lag-free imaging, greatly enhancing accuracy in surgical navigation. Picture-Perfect Technology™ (PPT) eliminates the jagged edges that appear when interlaced video signals are displayed, resulting in the highest image clarity and precise positioning of instrumentation. Radiance® HD Surgical Displays – The most advanced and comprehensive HD visualization system available for minimally invasive surgery and interventional procedures. Display sizes: 19”, 24”, 26”, 32”, 42”, 55”. Radiance Ultra Surgical Displays – Revolutionary and Industry leading surgical displays w/ brightest LED backlight technology and edge to edge gorilla glass protected monitor screens. Display size: 27″, 32″, 32″ TruColor. EndoVue® HD Surgical Displays – Fully compliant HD medical visualization systems delivering all the features you need in a cost-effective solution. Display sizes: 15”, 19”, 24”, 42”. ZeroWire® Wireless Imaging – An advanced medical grade, wireless video solution delivering full HD surgical video in real time. 32 inch NDS Radiance G2 90R0076 Specifications We offer special pricing & volume discounts for Government, GPO, Health System, & Healthcare Facilities! Contact us for details. 19 inch NDS Endovue 90K0006 Specifications We offer special pricing & volume discounts for Government, GPO, Health System, & Healthcare Facilities. Contact us for details. 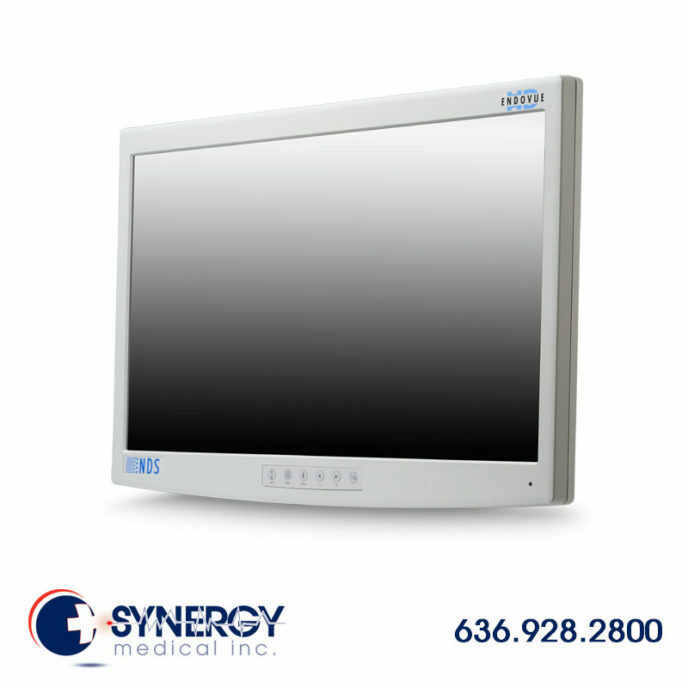 42 inch NDS Endovue 90K0003 Specifications We offer special pricing & volume discounts for Government, GPO, Health System, & Healthcare Facilities. Contact us for details.